Hogan Lovells has made a three year commitment to help our mission reach more beneficiaries. They’ve done this by providing Pro Bono legal advice, community investment volunteering, and financial support. We’re very grateful to them and are happy to introduce you to another one of their great endeavors. 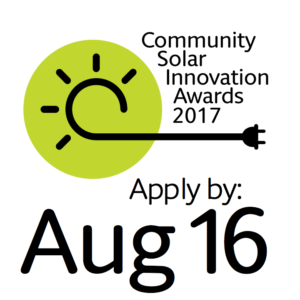 COULD YOUR SOLAR-POWERED BUSINESS WIN A GLOBAL INNOVATION AWARD?  Support from SEED to help you reproduce your business model in other regions around the world. Applications can also be submitted by downloading a PDF from the website and sending it to: apply@hoganlovellssolarawards.com. The winners, chosen by an independent international judging panel, will be honoured at a ceremony in March 2018 in South Africa.